Indonesia gives full backing to Palestinian independence at the United Nations, what about West Papua? [Jayapura]: As the UN General Assembly begins today (21/9) in New York, Indonesia will be in front line of supporting Palestinian efforts to become a member of the United Nations. Indonesia has been supporting the Palestinian case ever since they declared their independence. But what about the fate of West Papua which has been under Indonesian rule for half a century? This week, from 19 to 28 September 2011, Foreign Affairs Minister, Marty Natalegawa, will be representing Indonesia at the UN General Assembly during its 66th session in New York, United States. He previously recalled, in a press release last Thursday (15/9), that Indonesia had recognized the independence of Palestine just a few hours after it had been declared in 1988. Mahfudz Siddiq, chairman of House of Representative’s Commission I overseeing foreign affairs, also stated that agreement had been reached by the Indonesian Parliament and Government, for the full support of Palestinian independence and the Palestinian State bid at the UN General Assembly in New York this week. As a logic consequence of this backing, Indonesia’s foreign policy should also be shown in its commitment to support the right to independence and the recognition of the sovereignty of the people of West Papua. If Indonesia is aware that Israel’s occupation of Palestinian territories is a state of colonization, then Indonesia has to realize that the occupation of West Papua by Indonesia since 1963 is likewise a state of colonization. Already too many Palestinians have fallen victims of the Zionist regime of Israel, and already too many West Papuans have fallen victims of the colonialist and militarist regime of Indonesia. It is time for the people of West Papua to set their own destiny, in the same way that the Palestinian people, the people of South Sudan, Kosovo, and others, are deciding their own. Indonesia as a member of the United Nations should actively participate in promoting and creating world peace. 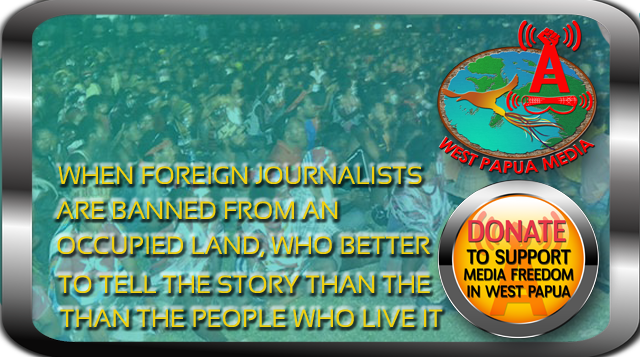 But, what about the fate of the people of West Papua? It has been a while since Indonesia and the international community decided to look away from the suffering of the people of West Papua. West Papuans continue to be victims of the vested interests of Indonesian colonialism and global capitalism on their land. Because of those interests, the United Nations and Indonesia have been denying the right of independence to the people of West Papua, a right which should have been granted to them in accordance with General Assembly Resolution 1514, through the Decolonization Committee. 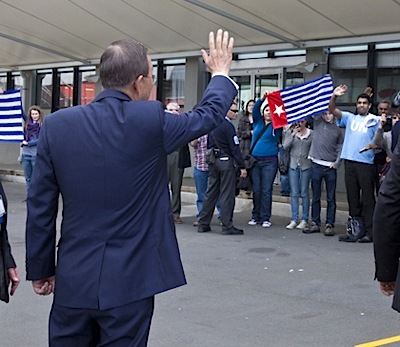 Indonesia should welcome the statement of UN Secretary-General, Ban Ki-Moon in Auckland, New Zealand, on 7 September 2011, when he stated that the issue of West Papua should be discussed again in the UN decolonization committee, a committee which has several times been chaired by none other than Marty Natalegawa.